F1 has renewed the front and rear wing regulations for this year as part of a number of changes aimed at trying to increase overtaking in 2019. One of the main goals was to give cars better opportunities to follow each other, rather than Immediately lose downforce as they approach a rival and are forced to fall back because their tires overheat. 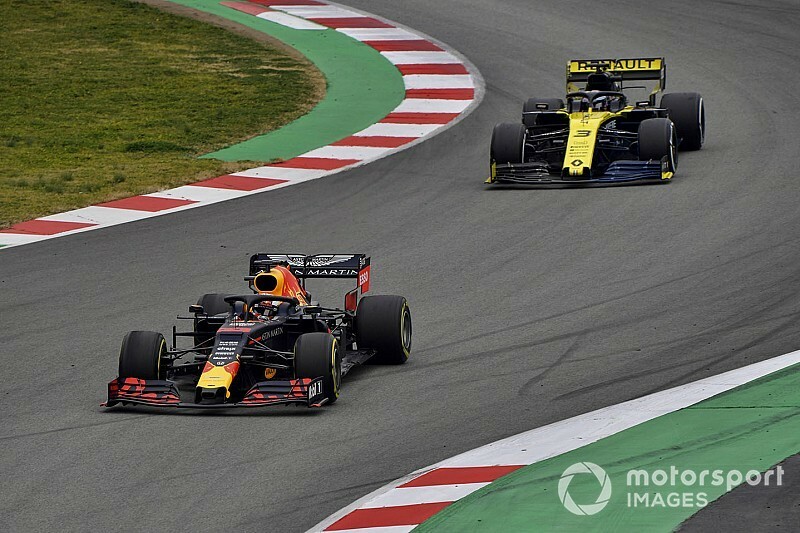 While a number of drivers said it was too early to measure the difference the new rules had made, Ricciardo said he had had a positive moment when he was able to shadow another car. "It actually seemed okay," he said. "At that time I patched a little faster and I don't know which car it was so I assumed they had more fuel." "Maybe it was easier for me to follow, but if it was like it felt better.
" But I won't be too excited. We still want to feel it, don't confuse me. But I would like to think that was a sign that we would feel a little improvement. " " I haven't really followed any cars Around, I have a few tows, but my feeling is that it still gets hard, "he said.
" The pace is just as high, especially now here, and you slow down so late that brake zones are so short that It is almost impossible, it feels like making a move on someone somewhere. "